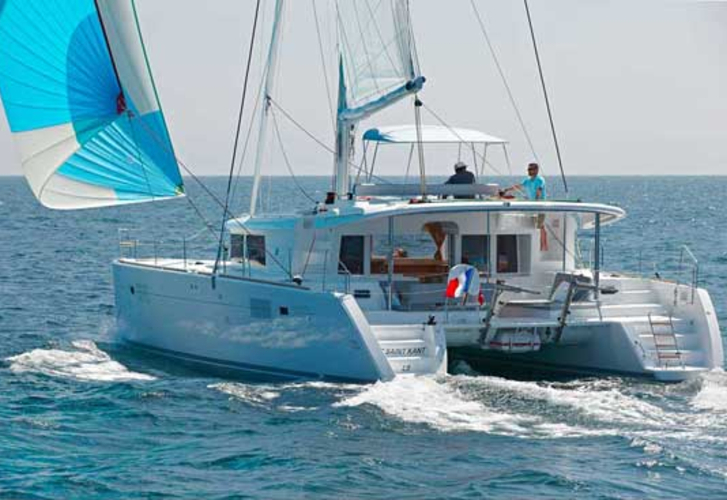 In 2013 was produced sailing boat Lagoon 450 called Poker Face. 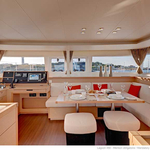 This vessel is placed in base Athens just a few kilometers from Athens in Greece. 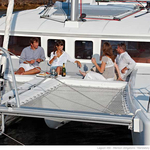 You can board up to 12 pax on the vessel Poker Face. 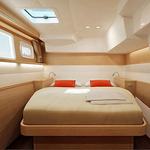 Arrangment of berths is 12. 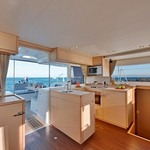 There are 6 cabins situated below boat's deck. Poker Face has 4 toilettes. 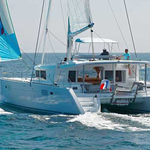 You can analyze different boats by going here: Catamarans Athens. Tank for fuel is 1000.00 l liters big , water container has up to 350.00 l l. In this sailing boat there is motor 2x40 hp. 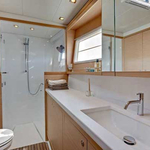 With 13.96 m of lenght and 7.84 meters of width Poker Face provides enough space for comfortable sailing. Lagoon 450 Poker Face is equipped with: Electric winch, Hydraulic gangway, Dinghy, Bimini top, Anchor electric windlass, Solar panels, generator, Wc pump electrical, Freezer, Microwave, Coffee machine, Radio / cd player, TV, DVD player, Air conditioning, Heating, Bed linen & towels, Plotter gps in cockpit, Autopilot, Gps plotter, Radar, Outboard engine, Electric hallyard winch, Mainsail with lazy jack. . Deposit there is 2500.00 EUR. 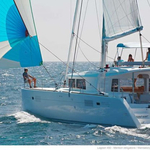 Check more offers here: Catamarans Athens.